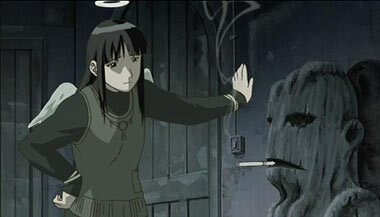 Rakka awoke from unsound dreams to discover that she had turned into an angel (known as Haibane). 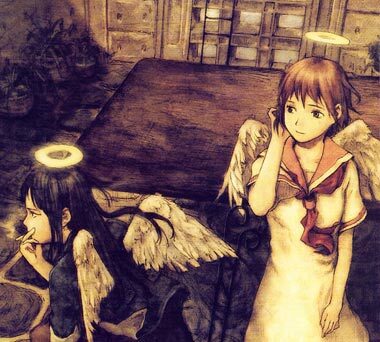 She discovers that all the Haibane seem to be female, and co-exist with the larger human population peacefully, however what the world is like beyond the walled town they all inhabit is unknown. The strange, masked beings that live in the adjoining woods, the Toga, might offer a clue. 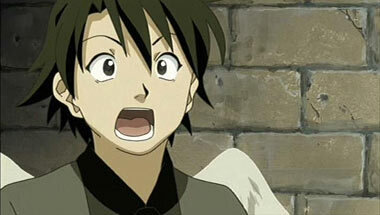 They are not, however, permitted to speak. 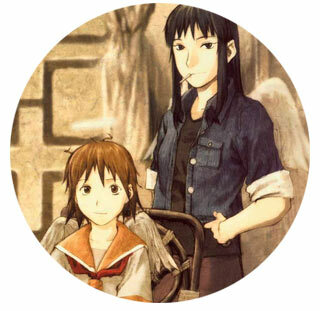 Haibane-Renmei is the creation of Yoshitoshi ABe, character designer for Serial Experiments Lain, and inspiration for Niea Under 7. This fantasy series is like a combination of The Prisoner and The Flying Nun, but actually it's a deliberately paced meditation on loss, loneliness, sin and redemption. It's a gorgeous animated tone poem with an old European look not unlike Kiki's Delivery Service. 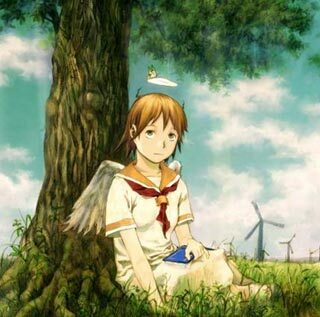 It sports a soothing musical score that makes it a treat for the eye, ear and mind.